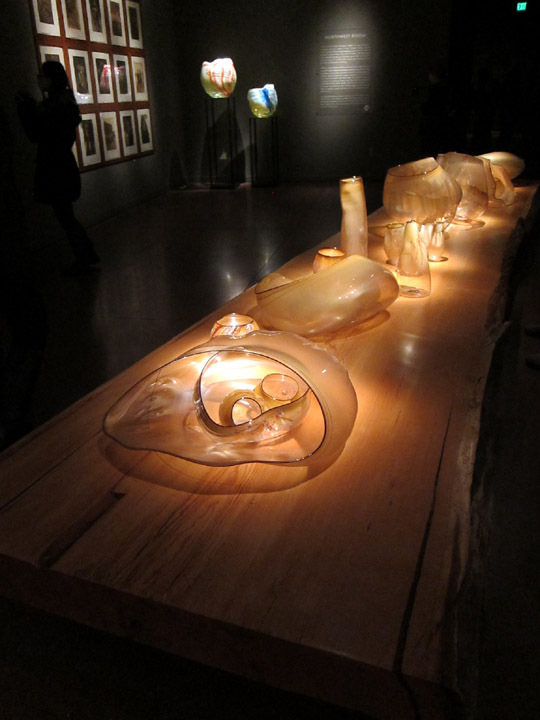 A few years ago I had the opportunity in Boston to see a traveling exhibit of Dale Chihuly’s glass installations while they awaited construction of their permanent home in Seattle. 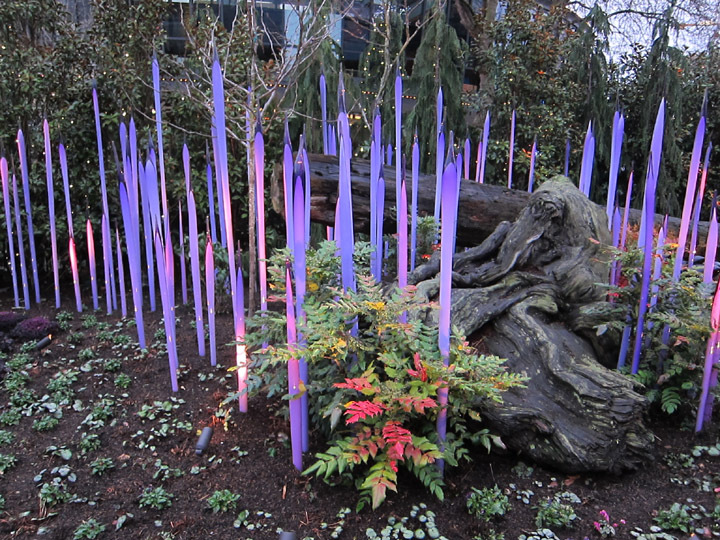 I’m really fascinated by how Chihuly’s conceptualizes and builds his pieces and so I was excited to see these works this December at the Seattle Center in the completed Chihuly Garden and Glass. As a medium, glass is capable of some really unique and fantastic things! I love seeing layers of color in semi-transparent states which change and mix as you walk around a piece. I really enjoy the frozen movement and suspended weight of once molten material and the textures that can be added and manipulated during the fabrication. 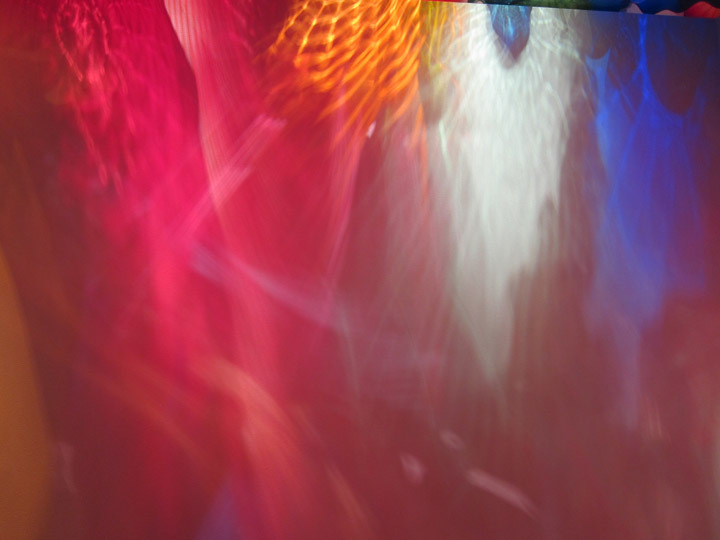 Of course glass really takes on a life of its own when illuminated which lets Chihuly’s jewel tone colors really shine. 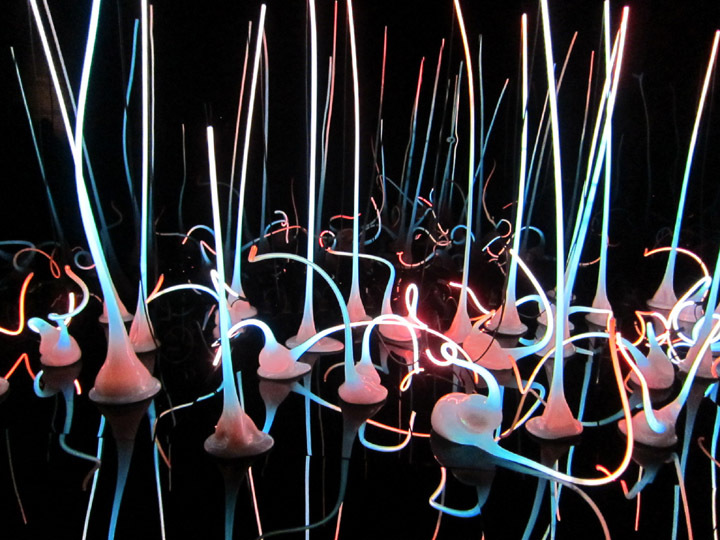 I also have a lot of respect for Chihuly’s process. He and his team guide the fabrication of glass pieces rather than create exactly pre-determined components. There is creative space in the process to let the material move on its own and to enjoy the serendipitous outcome. A change in temperature or too thick a section affects how one has to manipulate and interact with the material in the short period of time that it is pliable. I can’t imagine sculptors of stone or bronze having the same challenges or opportunities. Its obviously the sign of a master artist to make a final piece of sublimely beautiful and delicate art glass. A sea urchin complete with delicate spines from an ocean piece. 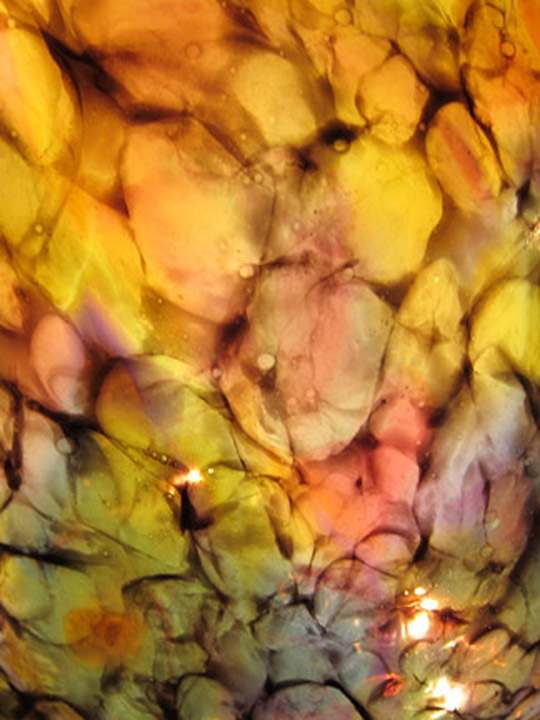 A bowl with watercolor like effects achieved from layers of semi-transparent glass. Glass baskets inspired by Native American designs displayed on a large wooden table. Every visitor to the Seattle museum lingers a little longer under a piece entitled “Persian Ceiling”. Jellyfish like disk of color are layered over a transparent glass ceiling. Bright light from above filters through the glass and colors the small room. You can wander through and look at all the details and pieces that make up the ceiling (including some glass putti!) or just soak in the effect of the reflections. It’s one of my favorite pieces in the museum! The Seattle Center Chihuly museum has an impressive glass walled “chapel” which houses an undulating vine of orange, yellow and red flowers. Clearly this space could be used for events, but I’m guessing every cocktail party guest will be preoccupied walking around for new views of this massive, beautiful piece. It also doesn’t hurt that it is installed just under the Space Needle for added perspective. 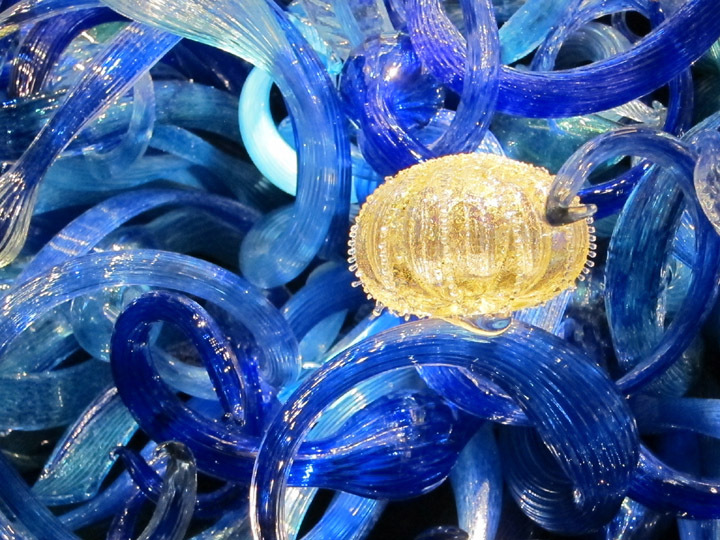 Chihuly explains in several of the videos running in the museum, that his glass pieces were intended to be seen in nature. Having only seen his works in dark galleries with dramatic lighting, I hadn’t appreciated this pairing until I walked outside into the garden. Glass orbs, willowy tendrils and rippling cones were mixed with shrubs, moss, logs, and grasses. The effect was gorgeous! Because the glass is made by hand, it is prone to asymmetries and fluctuation in shape which really complimented the natural forms and textures of the plants. The use of bold reds, blues and purples with the greens also played well off each other. 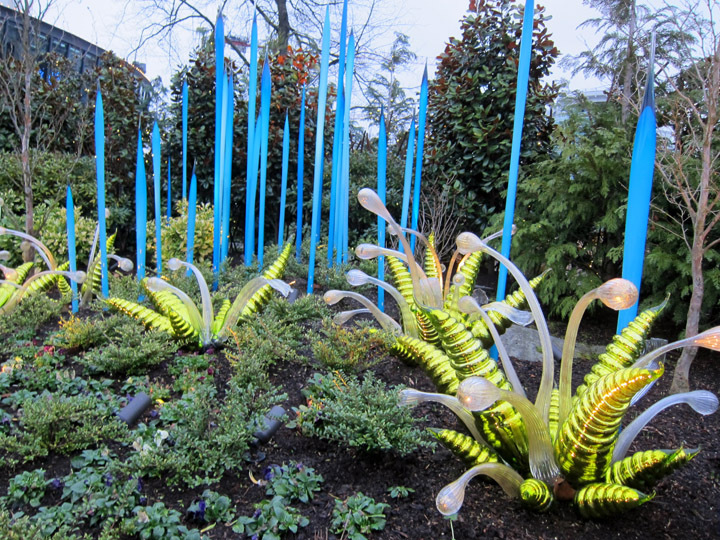 I think I actually prefer seeing Chihuly pieces in a garden now! Wonderful explanation and photos of an extraordinary exhibit. I visited the Seattle museum a few weeks ago and you did an admirable job of highlighting this brilliant artist. Thanks! I’m surprise we didn’t run into each other. I guess we were staring at the art! 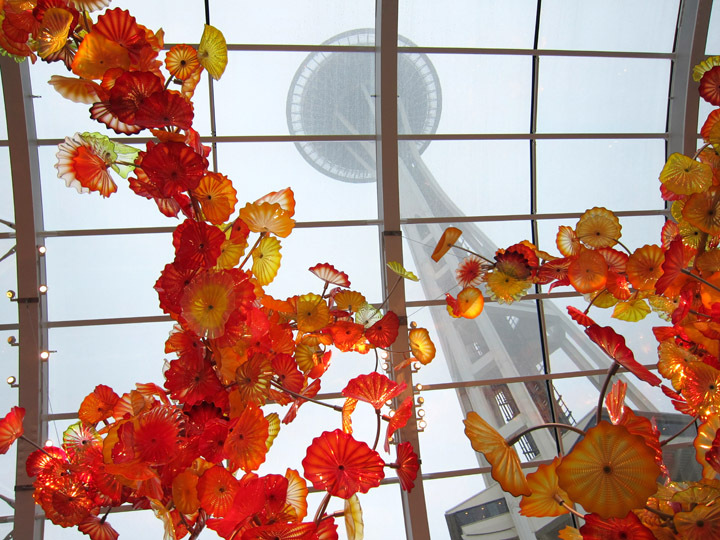 I love your photos, especially the one looking up through the orange vine to the space needle. This looks like a fabulous exhibit! Wonderful photos, Christina! 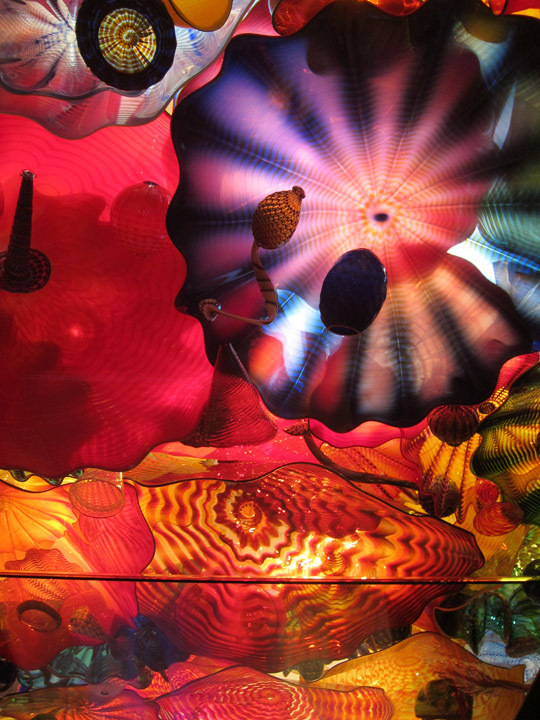 The Chihuly museum looks another great reason to get to Seattle. 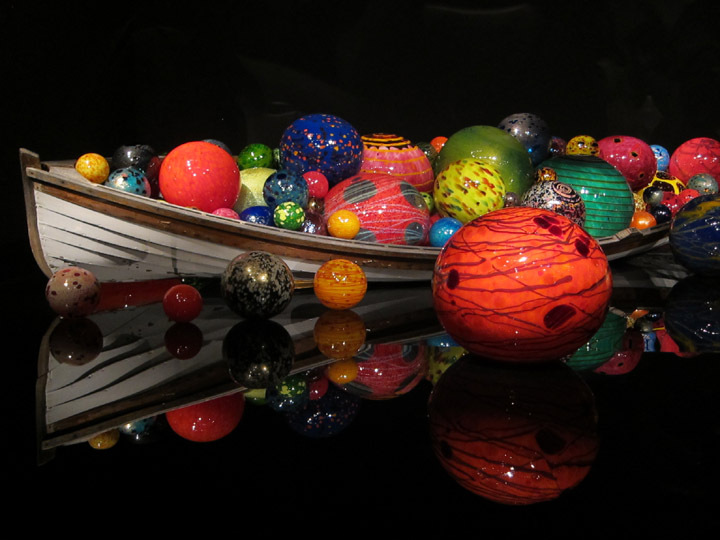 I visited the Chihuly Museum in St. Petersburg, Florida, last winter. I especially love his sea-inspired pieces, like the sea urchin you show in this post. 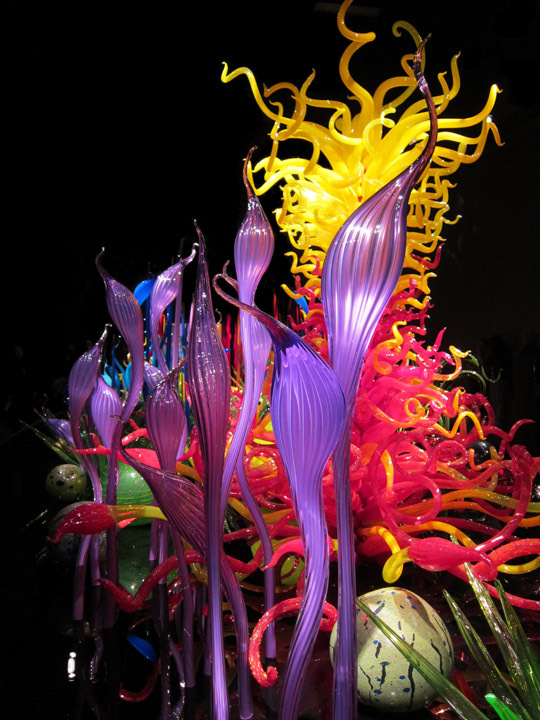 Love hot glass, love Chihuly! I love the Pacific Northwest and think these glass pieces look incredible with forest elements, but they work in really any environment!